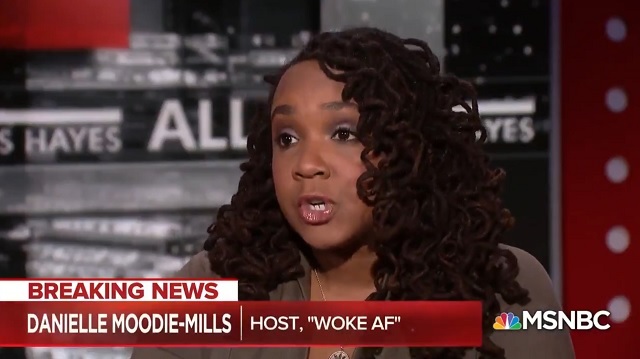 Moodie-Mills went on to say the “base” of the Democratic Party is “people of color” and not those at “the top” of their party’s pyramid, presumably meaning white people. It’s worth noting the inverse of Moodie-Mills’s electoral strategy is Steve Sailer’s the “Sailer Strategy,” which is for Republicans to aggressively go after white voters. Incidentally, Steve Sailer was pretty much blacklisted from the media as a result of such theories whereas Moodie-Mills can advocate the same in reverse with the establishment media’s full backing. She will definitely be invited back.